Vitacost is one of the largest food supplement distributors and manufacturers in the USA, so you can count on the purity and efficacy of the superior ingredients used in every product. Vitacost stock a wide variety of high quality, own branded products, all at affordable prices, and for this reason The Natural Choice is pleased to stock a small selection of their products here in the UK. 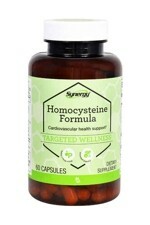 N-acetyl cysteine is a specially modified, more readily absorbable form of the essential amino acid cysteine, a protein that can only be obtained through the diet. 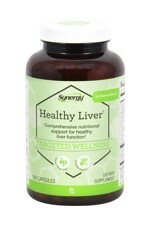 Cysteine is used by the liver in various metabolic detoxification pathways, and to manufacture glutathione, a powerful antioxidant within the body. 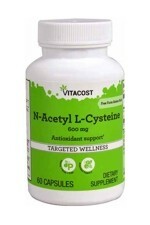 This Vitacost N-Acetyl Cysteine is availabe as 600mg per capsule, 60 capsules per pot. 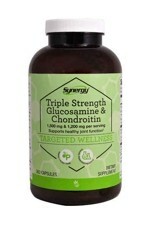 This Vitacost Glucosamine and Chondroitin product is a triple strength combination formula containing 1,200 mg chondroitin & 1,500 mg glucosamine per three capsule serving (120 servings per pack). Chondroitin and Glucosamine are naturally occurring molecules found within the cartilage and fluids surrounding joints. 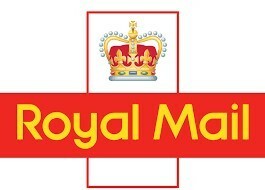 Both are provided in the forms most often used for scientific research.